Product #78 | SKU ZARM-S3 | 0.0 (no ratings yet) Thanks for your rating! 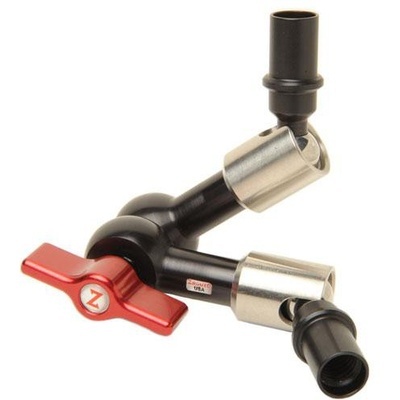 The Zamerican V3 Small 6 inch articulating arm is 20% lighter than our first articulating arm. It is made with chrome balls for silk movement, aluminum ends for rust reduction and stainless steel to increase strength and reduce bulk.